In our modern world several technologies and its upgrades have not only offered advantages like reducing equipment costs, but also provided accurate real-time data, automation and many such benefits. However, there are some disadvantages, especially like the risk we see in data security. On the other hand, the school and education sector too has really benefited from the advances of telematics. The sector uses the GPS tracking device to monitor their school buses deployed on-field. The sector is primarily focused on the safety of the students using the buses. The education sector utilises high-quality devices that satisfy the standard procedures. We offer the GPS device with an installation certification, that helps us stand out of from other GPS service providers. As Trinetra is an original equipment manufacturer of GPS devices any future technology upgrades or modifications, can be easily incorporated. School buses equipped with the GPS device can be monitored in real time with the help of the Fleet Management System of Trinetra. System can be supported by a mobile app. The monitoring system (FMS) can be further supported with a mobile application, which is enabled with alerts and notifications. Both administrators and parents will find it pretty useful to communicate. The alerts and notifications are sent to a handy mobile device which is easy to use by both staff and parents. The alerts can be instantly sent in case of issues/emergencies. The technology in logistics and transportation has advanced greatly over the recent years. This has also benefited school bus transport for pupils. 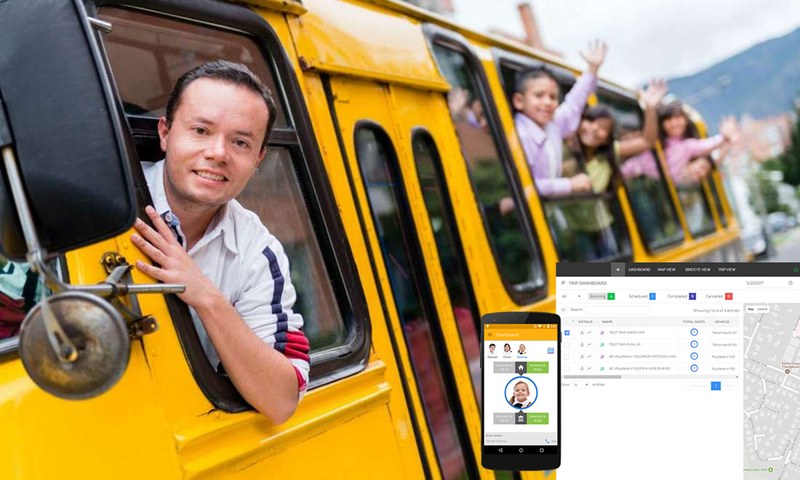 For any school the safety of school children is a top priority and so the GPS tracking device can help the school be actively and practically use this. Installing the right GPS device and software can help the school get all the info they require, such as, driver behaviour rash driving, if a wrong route is being taken or delays. It can also be tailored to serve a wide range of needs for the school authorities. Every parent would want all possible precautions taken to ensure their child’s safety whether at home, at school or while on the school bus. A GPS device installed on buses can ensure that the school administration have a way to gather all the info they need, minute by minute. Parents too look for such facility when they send their kids to school, with reliable monitoring of arrivals and delays. Monitoring the school bus driver’s behaviour is a priority for every school, in order to assure the safety of school children. Accidents have happened because of rash driving of drivers. Now, schools can keep a vigilant eye on drivers to detect over-speeding, reckless driving, sudden acceleration, braking and cornering. Even a detour from the route and unnecessary stops, with the device installed on-board the bus\, can be noticed. One of the most loved features of the GPS tracking system by parents, is the reliable info of arrival and departure of the vehicles. Instead of getting fed up with waiting at a stop point for the school bus for hours, they can schedule their day accordingly. Parents can be relieved of the anxiety and have peace of mind, with the help of this monitoring device working on GPS technology. 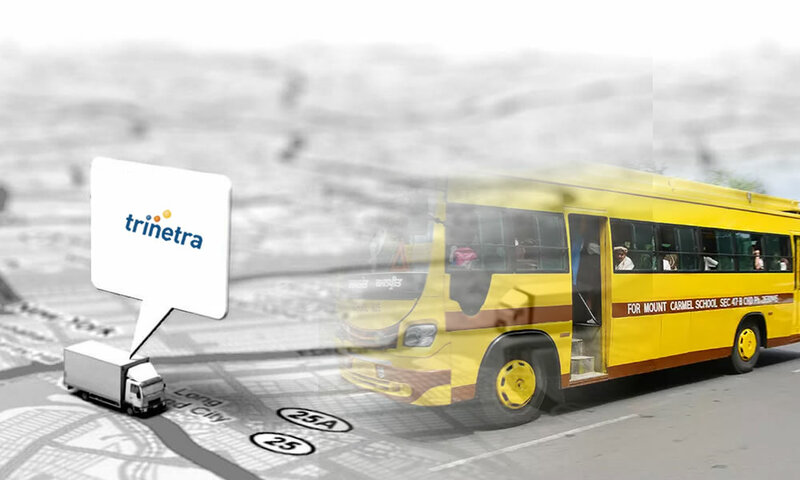 The GPS Tracking system undoubtedly helps in reducing the costs of operations of buses for schools. They can cut down on unnecessary fuel, repairs and maintenance, as the GPS device helps improving route efficiency, reduce idle time and prevents misuse of the bus by its drivers. The fleet management system also helps in checking vehicle performance and maintenance needs, reducing maintenance costs. The FMS can be further enhanced with a mobile application, which can be enabled with alerts and notifications. Both the school staff and parents will find it pretty useful, as alerts and notifications are delivered to a mobile device which is handy to use by both staff and parents. The alerts can be instantly sent in case of issues and emergencies. This results in the quick response and action taken. 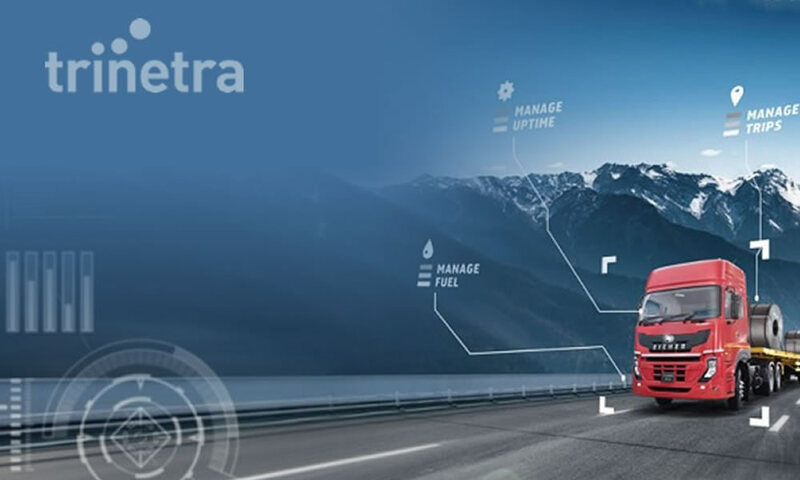 To know more about Trinetra’s fleet management system that can help improve safety and productivity of your fleet of buses or cabs, please contact us, or visit www.trinetrawireless.com. Or just leave us an enquiry and we’ll get in touch. Logistics and transportation play a crucial role in any economy. In the present scenario this sector is confronting a number of challenges. There is a need for change ant that brings with it both risks and opportunities. Challenges the sector faces include new technology, higher customer expectations, changing business models and new entrants and competition. The growing pressure on the sector is to offer better service at even lower cost. However, the logistic and transport industry is increasingly using technology to their benefit and improvement. Digital technology has become a boon. 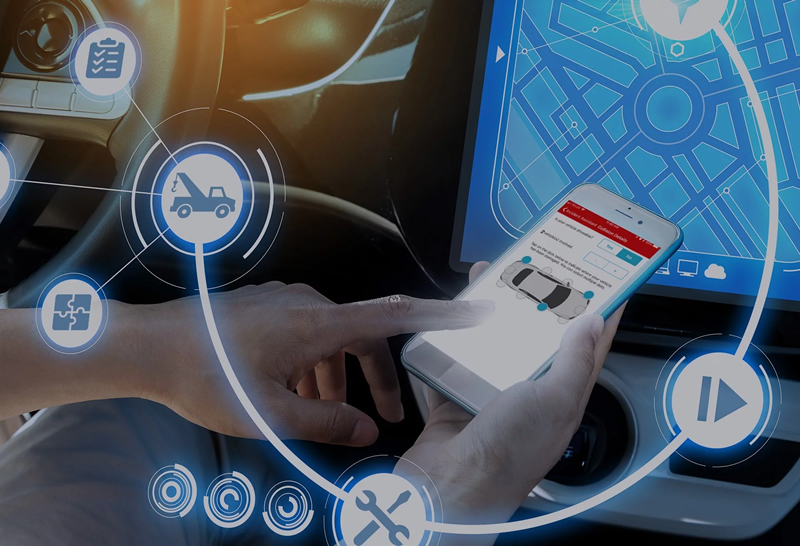 Supply chain functions, delivery processes, vehicle management have all become digitally enabled with telematics technology and players in the sector are benefited. The Indian logistics sector has great potential to expand but only with greater adaptation of digitalisation and telematics for better management can make a breakthrough. Challenges being resolved by the sector. 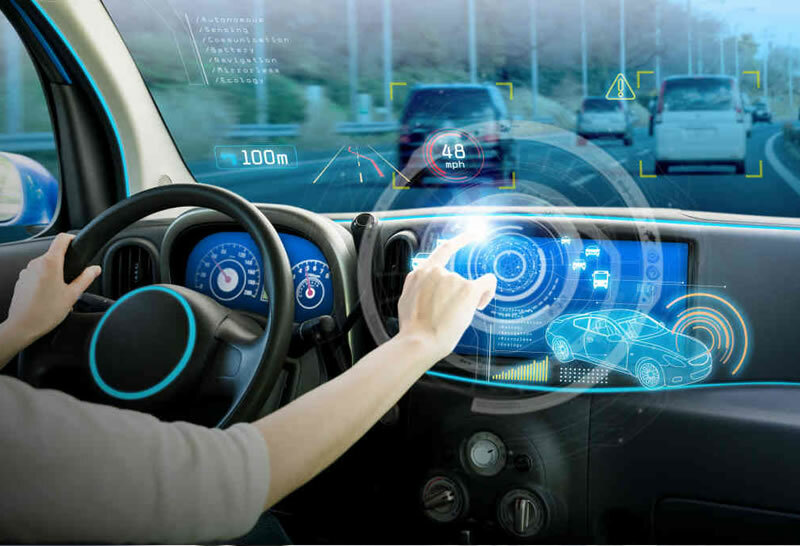 With improved communication infrastructure, connectivity for telematics has been improving constantly along with new technology introduction and innovation. With wider acceptance and usage of more stakeholder, it will improve the economy of scale for the industry. Further improvement is needed in integrating information, transport networking and the warehousing/distribution facilities. Training of workforce and building a trustworthy team of personnel is another challenge faced by the manpower-oriented sector. Another challenge is the variety pf rules and regulations of different states and the need for more uniformity, simplicity and focus. Telematics has brought about a healthy change in the logistic sector and improved fleet management positively. It has the potential to organise the sector better and improve productivity and profitability. Tracking the fleets in real-time improves speed, safety and quality of operations. Transportation is improved by better route planning, analysing vehicle performance and better demand forecasting. Improved monitoring of fleet minutiae, such as mileage, idling time, harsh braking, engine behaviour, etc. It helps resolve workforce issues, such as driver training, driver behaviour, performance statistics, etc. It has greatly improved recording of data, of both basic and complex information, like average speed, distances travelled, etc. To know more about Trinetra’s fleet telematics solution can help improve safety and productivity of your fleet, contact us, or visit www.trinetrawireless.com. Or just leave us an enquiry and we’ll get in touch. Fleet managers and owners always run effective maintenance programmes to keep profitability up, maintain RoI, improve efficiency, keep costs down and maintain fleet safety. The fleet management programme has inbuilt periodical checks and on-going maintenance schedules that have to be adhered to by the concerned staff. It is a good way to optimise resources for the company and to maximise fleet safety for the benefit of employees, customers and other road users. Although this is a simple strategy, ignoring fleet safety could be dangerous and expensive error too. If vehicles being operated are not roadworthy, or are in poor condition, it could cost the fleet operator a lot of money. If your fleet has poorly maintained vehicles and they stop while on road, you not only spend money on repairs but lose vehicle productivity for the period it is off the road, besides affecting operations. Furthermore, in some situations you could face legal problems and have to pay fines too. So make sure your vehicles are maintained to perform regularly and safely. Studies State that Telematics technology adoption can reduce maintenance/ repair costs by about 14%. Telematics can have a significant positive impact on a ﬂeet’s overall operating costs. By undertaking a strategic business investment in using Trinetra Fleet Maintenance Software you can maximise bottom-line returns. Few steps you can take to ensure fleet safety, plus overcome fleet maintenance problems and by adopting a fleet management software. Ensure that drivers follow the traffic rules and regulations; monitor them (using telematics) for driver behaviour; send alerts or notifications to minimise violations and maximise safety of public road users. Ensure the loads are safely secured in transit and vehicles are not overloaded, or maintain the stipulated weight, as it reflects in cost of maintenance too. See that the vehicle’s papers, insurance cover and driver’s papers are all in order, currently. Compliance is followed not because of the threat of sanctions, but as mandatory and for safety of the public using the road. GPS Tracking helps in tyre management, to monitor an expensive and wearable part, to increase tyre life and avoid risks of tyre failure or blowouts, which is a safety issue too. To know more details about Trinetra’s fleet management system and how it can help you in safety and productivity of your fleet, contact us, or visit www.trinetrawireless.com. Or just leave us an enquiry and we’ll get in touch. We could see many companies struggle managing their fleet operations, to grow your business and stay on top, track your vehicles instantly through advanced GPS facilities. Every fleet manager / operator knows the complexities in operating a fleet of vehicles efficiently and productively, laden with the tasks of proper planning of deliveries / pickups and /or service calls. By using an advanced fleet management software, you can minimize downtime, you could increase fuel efficiency, improve mileage, watch driver safety, smooth running of your vehicles etc seamlessly. Simple and comprehensive management of day-to-day fleet operations, assigning and planning daily tasks, scheduling routes and drivers, all help to maximize resources utilization and to drive up productivity. Undoubtedly optimized schedules and planned routes, live tracking, geo fencing, facilitates you to keep track of each and every information regarding the fleet. Identify and use the most cost-effective route options. Accommodate more delivery/calls in real-time. Spend less time in planning routes using updated data available. Optimize on Driver Utilization boost their morale and improve productivity. Reduce mileage of vehicles and thereby save in maintenance and fuel costs. Optimizing routes improves arrivals and delivery, thereby increasing Customer Satisfaction. With Trinetra FMS you can get rid of Chaos in Fleet Management, besides Get control over your maintenance and service repair processes that can assist you streamline your operations, cut Needless costs and run a better business. The smart fleet management system provides you with the insights required to helps you make better decisions, reduces manual data entry, avoid vehicle downtime, give you on the go access, to run your operations as smoothly as possible. To know more in detail about us, visit us @ https://www.trinetrawireless.com/ or leave us an enquiry and we will get back to you. 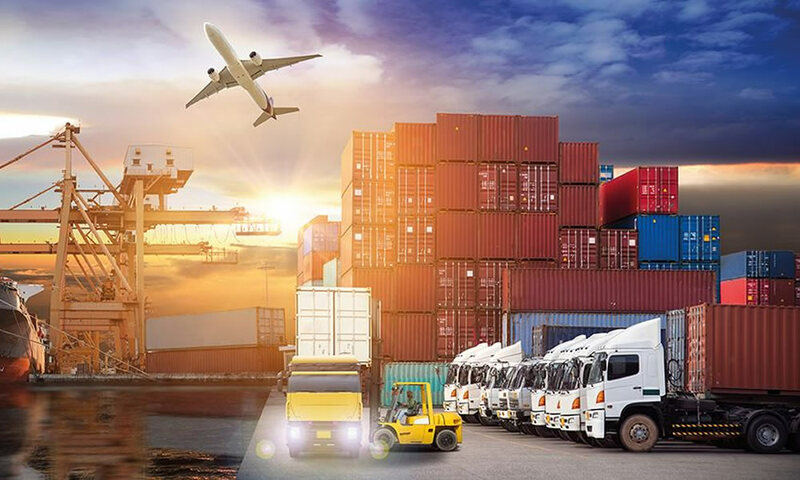 As the consumer goods market expands, more and more refrigerated trucks and trailers move perishable goods and foods on wholesale basis under a clock, which is serious responsibility. As more products are shifted from fields to shelves, an increasing number of people, like farmers, marketers, retailers and restaurants are getting involved in shipping perishable goods like fruits, vegetables, meat, dairy products and others. On one side is the responsibility of food safety and on the other side is the profitability of the operations. Both greatly depend on temperature monitoring! Key to this kind of operation is the monitoring system of temperature sensors set on fleets of refrigerated trucks. 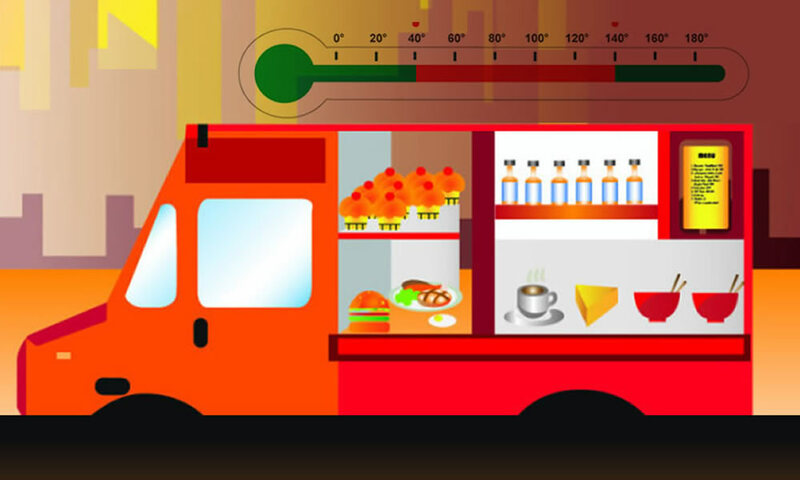 GPS assisted Temperature monitoring solution helps maintain food safety and quality, and also profitability of the operations for fleet managers/owners. It can be additionally tracked using mobile application.The fleet management system has integrated various monitors to observe and track on many parameters that the operator critically requires to access. The web- based wireless system can be customized and installed to meet the client’s specifications. It provides not only the live temperature status but can also locate each vehicle, in real time position and location online. The system can also trigger real-time alerts and notifications if the temperature limits exceed the pre-set limits. 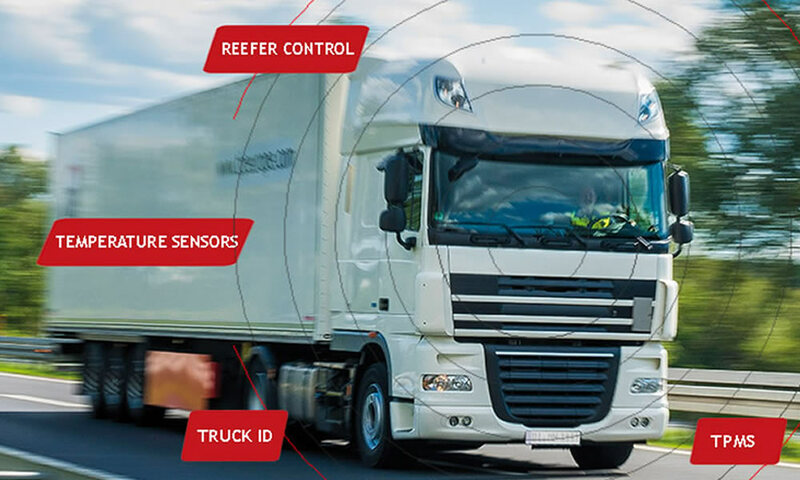 The sensors send readings at regular intervals about ongoing temperature updates and enables managers to gain complete control, protect refrigerated cargo and deliver safely everytime. The fleet management solution helps fleet managers monitor and track the trip history of each vehicle, and enables access to accurate reports for the whole fleet. The live monitoring on factors like speed or idling time, also assists in better driver assessment & management which also goes to improve the fuel efficiency and maintenance of the fleet. Trinetra fleet management software can help reduce product loss and spoilage of perishable cargo, in compliance to many objectives of the company, standards, regulations and to the cold storage industry. Managers and supervisors can extract reports on vehicle usage, overtime, real time tracking of consignment, delivery efficiency and plan delivery routes, plus identify logistical inefficiencies. To know more about the best fleet management solution and how Trinetra can be your Fleet Management , Mobility and IoT Partner, please visit www.trinetrawireless.com. Or leave us an enquiry. 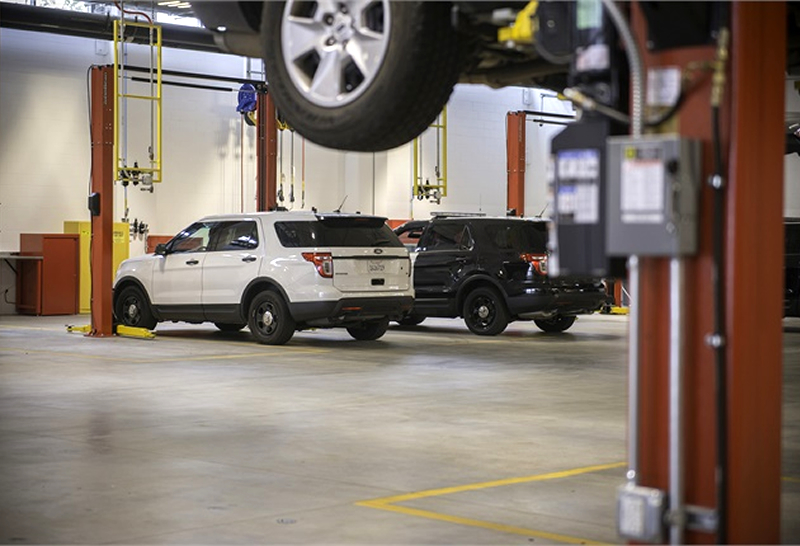 Get the most out of in-house truck maintenance with wireless monitoring technology. Fleet owners and managers always need to prioritise and optimise truck maintenance, to get the best ROI and reduce operating costs, on the long run. Types of maintenance approaches include – proactive, predictive and reactive. They also have to consider factors like the fleet size, which influence costs of maintenance. Small fleets may find it economically not feasible to maintain infrastructure and inventory, when considering an in-house truck maintenance facility. Reactive maintenance is a sort of ‘fire-fighting’ job, as the Fleet Manager responds to concerns currently happening, or those raised by the drivers. At this point, there could be a risk to the vehicle and driver and could lead to downtime of the vehicle (going out of service). So, this approach isn’t advisable. The right approach is to opt a proactive maintenance approach, which is based on a strict maintenance schedule, where the vehicle is inspected regularly, and repaired if needed, before a problem might actually arise and this will extend vehicle life greatly. An in-house fleet maintenance system has some good advantages over an outsourced service. The Fleet Manager can set schedules/procedures according the mileage or needs of their vehicles deployed. Control of costs can be with them and a lesser dependence on external vendors can help. A wireless monitoring system for fleet management is a boon for in-house truck maintenance. The team can create better schedules, as unlimited number of schedules can be made, to support a proactive approach. If breakdowns increase, rescheduling can be done easily as per the case warrants. The Fleet Manager can set preferences when scheduling maintenance plans, like for tyre management. Via the system, they can view maintenance history as per vehicle type, plus keep a track on the vehicle’s unplanned service. To help fleet maintenance, some procedures can be automated by the fleet maintenance software, Reminder Alerts can be triggered, like Temperature Alerts, Long Stop Alerts, Speeding Alerts Excess Idle Alerts and Maintenance Status Alerts. Statistical reports can provide insight for better management of the fleet. Regular feedback can be generated and reports can be customised. It can help track the budgeted cost against actual costs. This will support in taking appropriate business decisions quickly. Partner with Trinetra Wireless, a reputed fleet management solution provider, to get the most out of your fleet. To find how you can enhance fleet maintenance and to know more, visit www.trinetrawireless.com, or leave us an enquiry. Fuel cannot be obtained easily; it’s also tedious to get and save these valuable forms of energy. 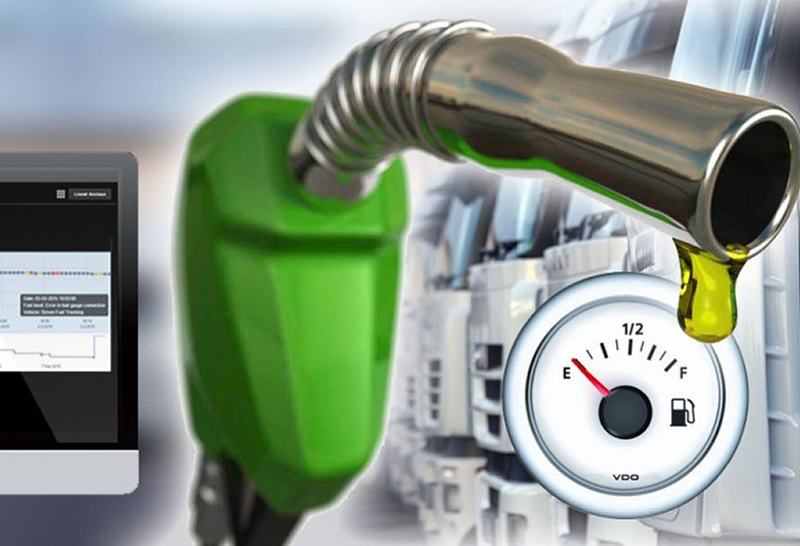 So managing fuels has become much crucial for many business organizations, notably organizations employed with fleet vehicles. To comprehend, managing fuels is crucial but how that can be made possible in today’s emerging markets? Is there any solution to manage the fuel consumption? Are you a business owner? Ever worried about your vehicles and its fuel consumption? As our technology is advancing day-by-day there comes a solution for every business need, to manage vehicles, fuel usage, vehicle maintenance etc., the one stop solution is GPS vehicle tracking system.